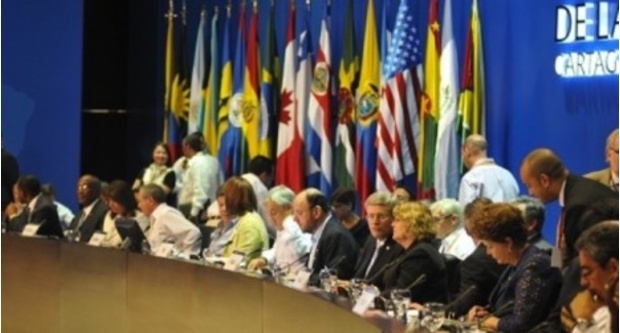 The lasting legacy of the sixth presidential summit held in Cartagena, Colombia on 14th and 15th April will likely be the beginning of a serious regional debate on international drug control policies. With the adept leadership of Colombia’s President Juan Manuel Santos, the issue was discussed at a private, closed-door meeting of the presidents. Santos later announced that, as a result, the Organisation of American States (OAS) would be tasked with analyzing the results of present policy and exploring alternative approaches that could prove to be more effective. A topic long considered taboo, the U.S. “war on drugs,” is now being seriously questioned and debate on new strategies – including legal, regulated markets – is officially on the regional agenda. While making it clear that no change in U.S. policy is in the offing, Washington has reluctantly agreed to participate in a debate. The United States is no doubt pleased that the OAS was tasked to study the issue. The Secretariat of its Inter-American Drug Abuse Control Commission (CICAD) is traditionally led by someone appointed by the U.S. government (presently it is former U.S. diplomat, Amb. Paul Simons) and it is widely perceived across the region as a U.S.-driven agency. However, ultimately, CICAD’s agenda and focus is dictated by member states. The burden is now on those member states advocating reform to ensure that the OAS effectively carries out its mandate to explore all alternative policies and to include in the discussion relevant experts and organizations. Present international drug control policies are deeply-rooted and change will no doubt come slowly. However, an opportunity for meaningful drug policy reform has emerged in Latin America.